We've prepared for you a selection of tours around the island of Santorini which will get you closer to the beauty and uniqueness of the island! 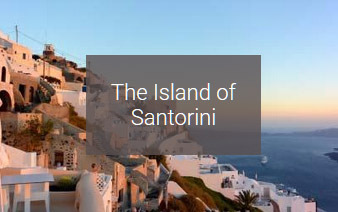 Read all the details on the destinations and/or create, with the help of the people of ID Santorini Transfer & Tours, a tour to all the spots that we will recommend you and you will choose. Are you ready for an unforgettable tour around Santorini? 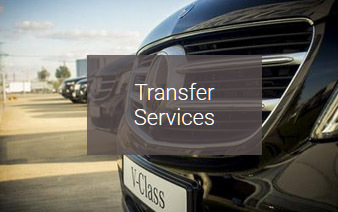 Embark on the luxurious cars of ID Santorini Transfer & Tours and get ready for a memorable experience! The most popular activity at the most dreamy scenery of the world! Visit, with ID Santorini Transfer & Tours, the exquisite village of Oia with the unique architecture and ambience and let yourselves indulge to the magic of Santorini's sunset. Live the magic and the exciting feelings born by the beauty of the landscape while the sun is “sinking” in the sea. Tip. The tour to Oia's sunset lasts 2-3 hours. A tour for those who want to discover the beauty of Santorini within a few hours! We start from the prehistoric settlement of Akrotiri, one of the most important archaeological sights of the Mediterranean. The city, which flourished from 4.000 to 1.600 B.C., when it was covered by the lava after the eruption of the volcano, is an excellent stop for you to discover the prehistoric past of the island. Next stop, the imposing Red Beach which is the most representative, volcanic beach of the island with the red rock creating a unique landscape. We continue heading to the Lighthouse of Santorini, wherefrom you will enjoy the view on the island of Santorini and the caldera. Last stop, the beach of Perissa with the black sand and the crystal-clear waters. Tip. The tour lasts 3-4 hours. This tour tracks all the spots with view at the enchanting caldera of Santorini. Starting from the capital of the island, Fira, we continue to the beautiful and quiet Firostefani and the neighborhood of Imerovigli which is the highest point of the caldera. The tour ends at the charming village of Oia with the stunning view at the caldera. Tip. The tour lasts 2-3 hours. For those who want to taste, apart from the staggering landscape of Santorini, the flavors of the volcanic earth, then the tour which starts from Santowines Winery, with the amazing view at the caldera, continues to the monastery of Profitis Ilias with the view at the whole island and ends at the beach of Perissa, is the best option! At the winery, you can taste the famous wines of the island and try the finger food at the wine tastings; at Profitis Ilias, you can visit the monastery, while at Perissa beach, you can swim at the crystal clear waters. Tip. The tour lasts 2-3 hours. Tour Option 5: Plan your own tour! Choose all the spots you want to visit and discover the beauty of Santorini and together with the people of ID Santorini Transfer & Tours plan your own tour within our proposals and your preferences depending on your interests. 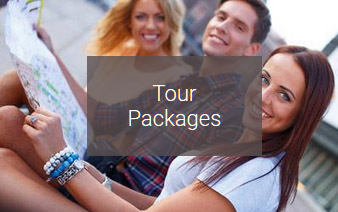 Choose between the above mentioned destinations and organize your own, unique tour; a tour around Santorini made exclusively for you!